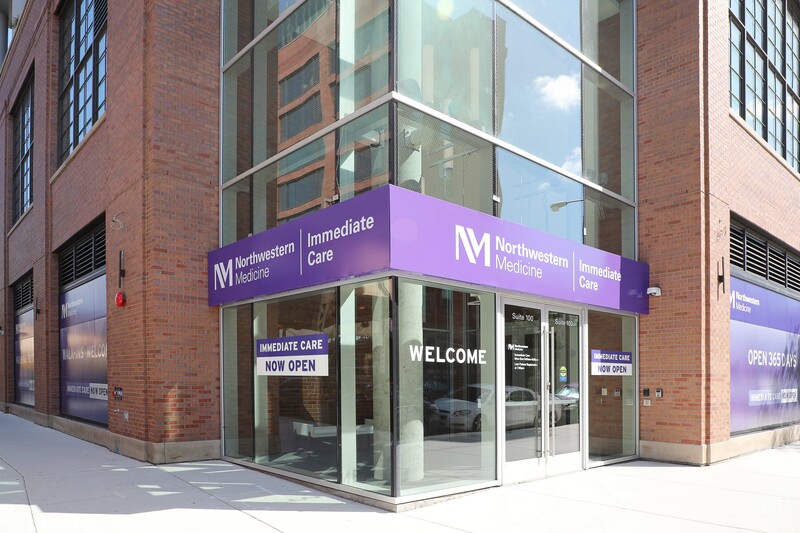 Northwestern Medicine Immediate Care Clinic (West Loop, Chicago) – 5,500-SF build-out in new core and shell building at 171 N. Aberdeen featuring six exam rooms, an x-ray room, infusion treatment areas, laboratory space, staff lounge and work areas, and an internal mechanical room with a standalone air handling unit. Northwestern Medicine Lavin Pavilion 21st Floor Internal Medicine Clinic (Streeterville, Chicago) – 15,000-SF build-out in core and shell building on Northwestern Medicine’s Streeterville Campus featuring 25 exam rooms, staff offices and lounge area, laboratory space, and various support spaces. The project was completed on an expedited time frame and utilized extensive building information modeling (BIM). Northwestern Medicine Galter 1 Renovations (Streeterville, Chicago) – Upgrades to the existing Galter Pavilion 1st Floor Lobby including seating areas featuring new terrazzo, lighting and upgraded finishes. The project was completed in multiple phases with no impact on hospital operations. Prentice Operating Room Video Integration (Streeterville, Chicago) – Interior upgrades to 10 Operating Rooms and supporting services within Prentice Women’s Hospital at Northwestern Medicine. The upgrade consisted of finishes, millwork, terrazzo flooring, operating room (OR) booms and lights with structure, and video integration systems with associated electrical work. Extensive coordination with the Owner’s equipment vendors was involved to provide the complete electrical infrastructure for the new systems. This project involved the refreshing of an old OR suite for temporary use and moving the entire OR operations to the temporary space prior to the start of construction. Skender’s team has successfully completed renovation and new construction work for other healthcare clients with a strong Midwest presence, including Ann & Robert H. Lurie Children’s Hospital of Chicago, Esperanza Health Centers, University of Chicago Medicine, Rush University Medical Center and Loyola Medicine.